It’s a known issue that some Windows updates can sometimes disrupt or disable your Internet connection. 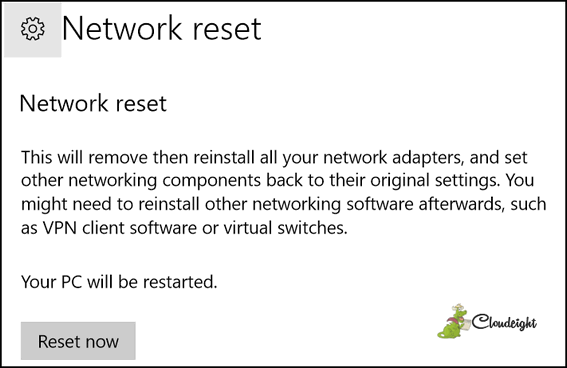 That’s why Windows 10 (starting with version 1703) has a couple ways to help you fix your connection issues, including an easy way to completely reset your Windows network settings. If you have problems with your Internet connection, the very first thing you should do is Power Cycle. We have written a easy-to-follow tutorial on Power Cycling. You can read it here. You may have to restart your PC after you run the troubleshooter. 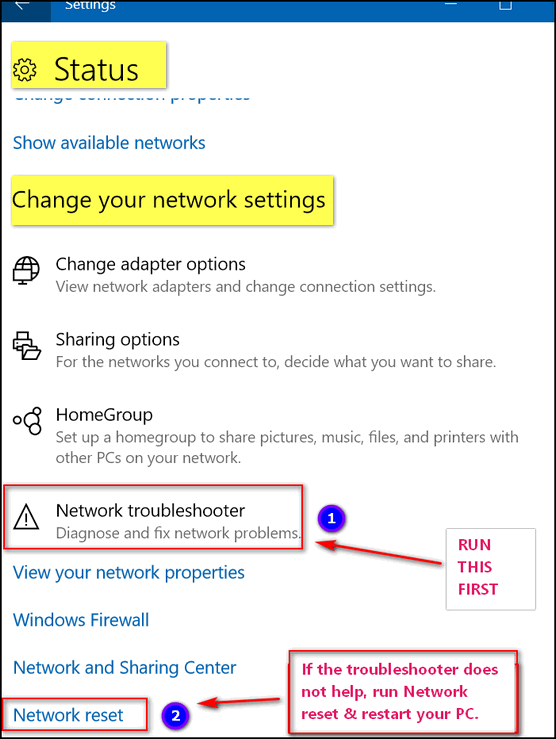 If running the troubleshooter does not help, you can completely reset Windows networking components. Again in Network & Internet > Status > Change your network settings … click on “Network reset”, then click the “Reset now” button (see screenshot above) and follow the onscreen instructions (See screenshot below). Your computer should restart automatically after the reset is complete. One of these three options should help you the next time you have a problem with your Internet connection. In many cases we find that a simple Power cycling is all that is needed. But just in case Power Cycling does not work for you, Windows 10 gives you a couple of other options that may help you fix your connection problems.